drivingandlife: ADD A BIT OF BONDURANT, FOR BRILLIANT BRAND BUILDING! ADD A BIT OF BONDURANT, FOR BRILLIANT BRAND BUILDING! In the 60s American men discovered the joys of British sports cars, and their quirky, underpowered engines and brilliant handling became a legend. 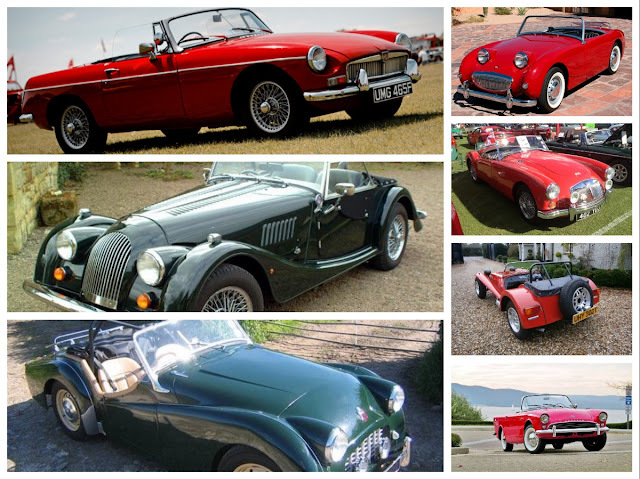 MGs, Morgans, Bugeye Sprites, Austin Healeys and Triumph TRs sold in big numbers. Despite their popularity, in overall numbers it was only a small percentage of the huge US market, but by the 70s every red-blooded American male knew the pulling power of a sports car, for winning babes. Of course their intrinsic qualities of sporty performance and sharp handling added a new dimension to the American automotive landscape. 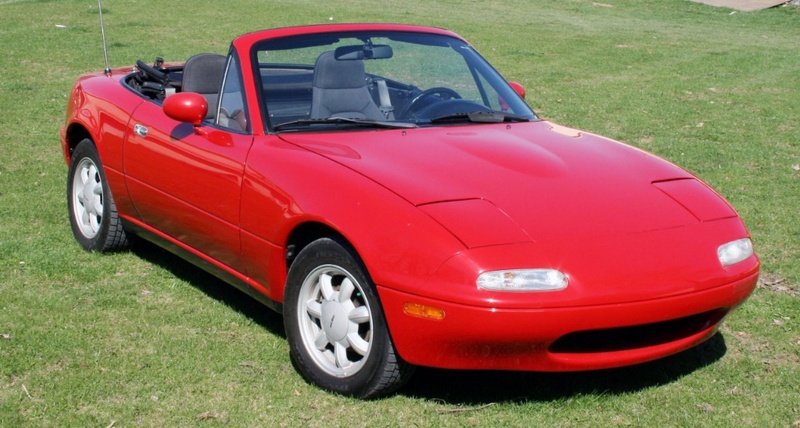 However, as those original brands gradually disappeared, the dominant image of the Mazda Miata (MX5) became what could be described as the ubiquitous ‘sports car’. It’s into this sphere that FIAT has chosen to enter with its ‘born-again’ 124 Spider, and of course the irony is, it’s built by Mazda, on a contract basis for FIAT, using the MX5 as the donor car, to which FIAT contributes uniquely-designed body panels, a different engine and gearbox and various bits and bobs of window dressing to create its own contemporary sports car. Today’s sports car buyers are nothing like their forebears, who were as much influenced by the British image of a flat cap and driving gloves, as they were by the performance and handling. 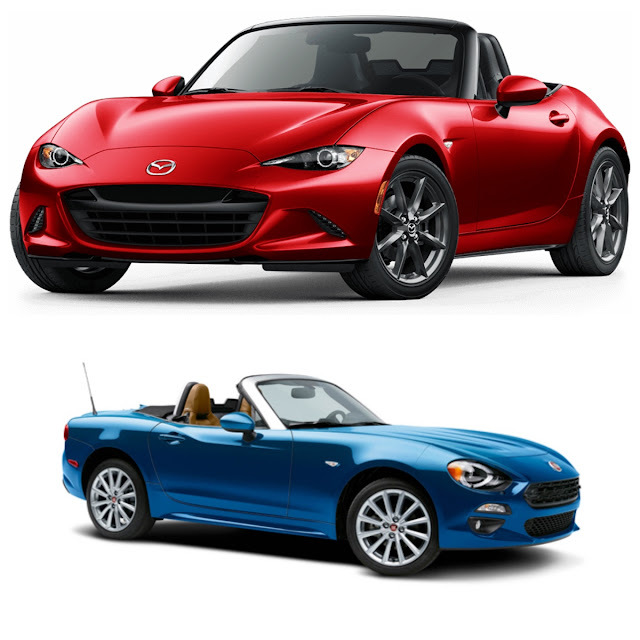 So, despite the tangible and visceral appeal of the 124 Spider, FIAT still has a job ahead of it, to separate the 124 from the highly-successful Miata, which has become the ‘default’ sports car flag carrier. FIAT’s US management decided on an old, but logical exercise in brand building. With every 124 Spider sold, came the chance to take your new sports car to a road race circuit and benefit from a day with the Bob Bondurant Driving School, to hone their skills and add another dimension to the overall enjoyment. Guess what? It has worked a treat! Sales of the 124 Spider have taken off like a Saturn rocket; and the Bondurant driving course has been completely sold out, with a big waiting list. That’s what I call successful image-building. It is textbook stuff, and not very innovative, but hey! Who cares. The Bondurant course capitalizes on the primary essence at the heart of sports car ownership – having fun at the wheel. Not only that, but it’s turning out drivers who are better trained and much more tuned in to the vicissitudes of fast driving than the first American sports car drivers, who in their full enjoyment of the exuberance often ended up in the scenery.